SFW082ET Digital Fire/Water Safe is rated 4.5 out of 5 by 42. 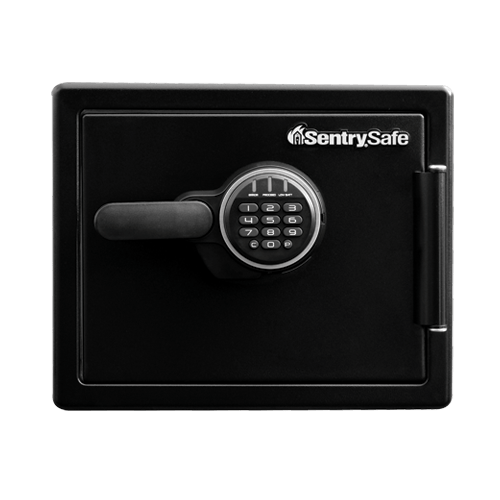 The SentrySafe Digital Water and Fireproof Safe SFW082ET provides reliable protection for important documents and valuables. 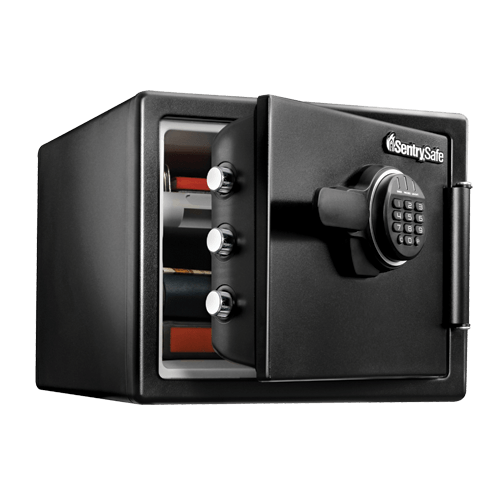 Digital lock, pry-resistant hinge bar and 4 large, 1-inch live-locking bolts safeguard your items against theft. The SFW082ET is also ETL Verified for water protection and UL Classified for fire protection to keep your items safe in the case of a fire or flood. 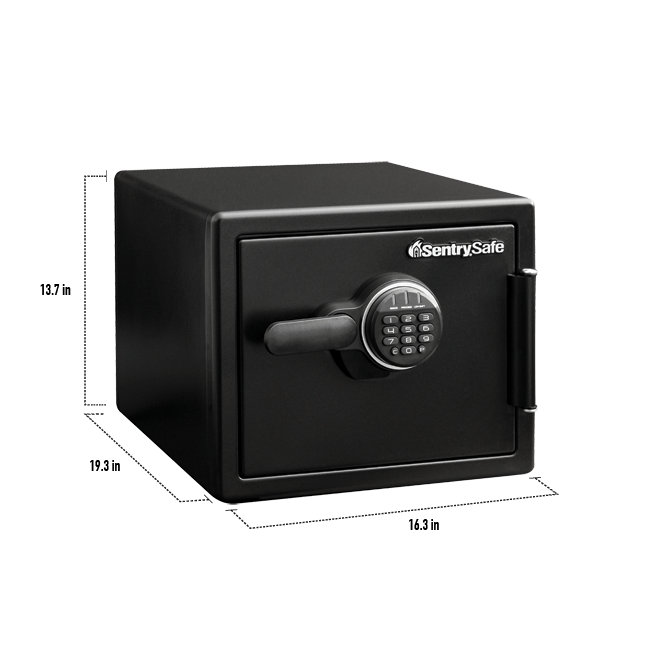 Rated 3 out of 5 by BelRidge from Strong The safe had been closed and never open with money and documents stored inside for at least 4-6 months. When opened all documents was mildew smell and wet. Rated 3 out of 5 by smithcos from New safe Not a bad safe, but I wish I make the light work inside and I REALLY wish there was a way to bolt it to the floor. It's not necessarily "safe" from robbery when it can be picked up and hauled off by hand by a single person. Thats why there should be an easy way of bolting it permanently to a hard surface, like the floor or a cabinet. Rated 4 out of 5 by Toddk from Good value I like this safe a lot. Its a good size for my needs and the price is very reasonable. My only issues with it are that I cant turn off the keypad sound and after I bought it I found out that it is easier than I expected to bypass the electronic keypad. All in all it suits my needs very well. Rated 4 out of 5 by Zoot from Some Good, Some Not So Mich The good: seems sturdy and I like the water and fireproof features. No do good: can’t be bolted down or it loses waterproof feature. Insulation retains moisture inside the safe so you have to seal papers and/or air our the safe on a regular basis. Rated 5 out of 5 by Deborah from Strong and secure safe! I love this safe because its the perfect size for my important documents and is fire resistant. Has a tray for jewelry, keys or other items not in folders. The combination lock is easy to use. VERY happy with this safe. Rated 5 out of 5 by berglof123 from Solid, Heavy,Tignt and Secure Safe! 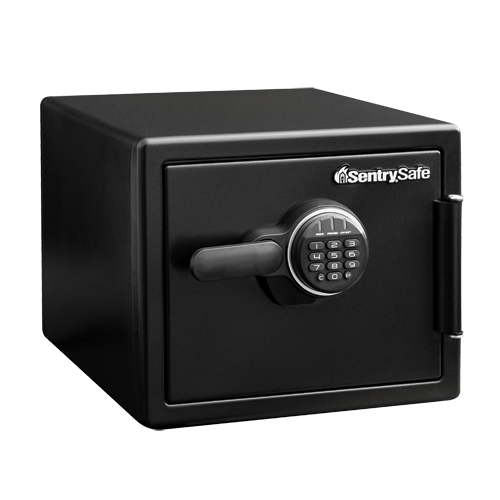 This safe is a perfect fit for me, fire and water resistant, great size to hide in plain site (closet). Locking mechanism is great, secure combo with registration and two more programmable combos of my choice, excellent!